Treat yourself to the zesty and savory blend of flavors in this Reshmi Chicken with Royal® Basmati Rice with Turmeric and Za’atar recipe! Combine Royal® Basmati rice, water, and pinch of salt in a medium sauce pot with tight-fitting lid. Bring to a boil, then reduce heat to simmer and cover. Cook for 15-20 minutes, or until water is absorbed. In a food processor, mix the almonds, coriander, onion, ginger, and garlic paste. Grind to form a smooth paste. Add salt to taste, then lemon juice and mix well. In a large bowl, pour the paste and yogurt over the chicken and mix well to coat all the pieces. Cover and allow to marinate in the refrigerator for 24 hours. Put the marinated chicken pieces on skewers and grill. Lightly brush with GrapeOla® Grapeseed oil to prevent sticking. 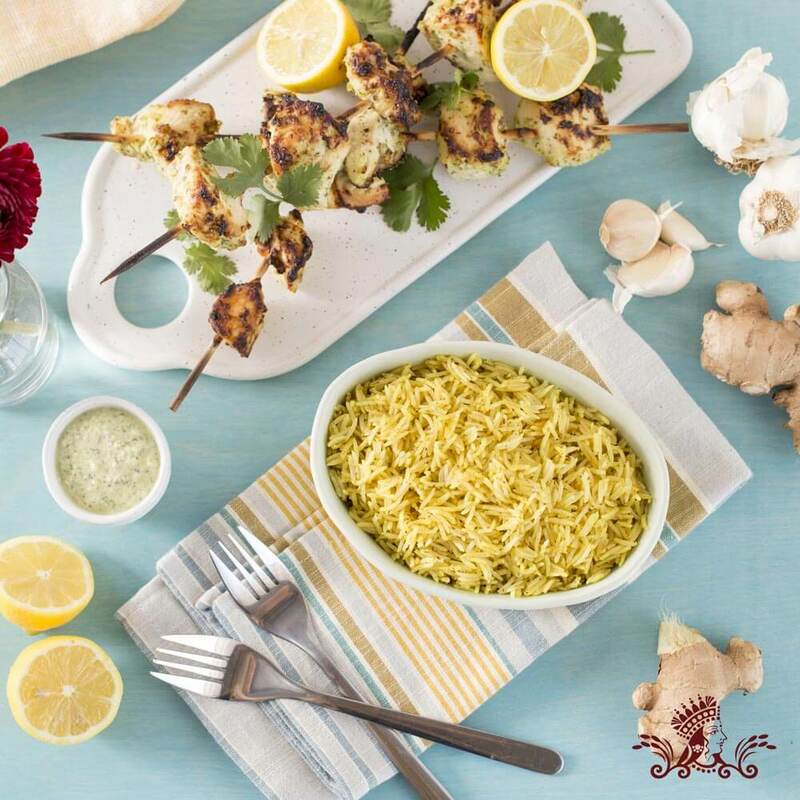 When the chicken is cooked, remove from the skewers and serve with thinly sliced onions, warm Royal® Basmati Rice, and hot naans.